The Hammermen originally comprised craftsmen associated with metalworking – or “men who wield the hammer” in more poetic terms. Members came from a variety of established trades, with everyone from blacksmiths and goldsmiths to clockmakers lending their experience and expertise. Sword-makers and armourers are also part of the history of the Hammermen, along with the lorimers who crafted the bits worn by horses through the generations. Goldsmiths, tinsmiths and pewterers have also been among the members as well as other surviving trades such as locksmiths. Today the men of the hammer embrace every aspect of modern engineering across the full spectrum of disciplines. 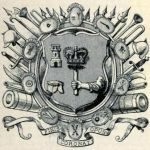 Through the admission of sons of members, a wealth of other trades and professions are also represented within the most senior of the Seven Incorporated Trades of Aberdeen. 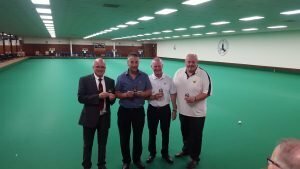 The annual bowling competition of the Incorporated Trades was held on the 23rd August 2017, once again at Summerhill Indoor Bowling Club and organised by Graeme Duncan. The evening commenced with tea and the bowling followed. The competition was an inter Trade round robin tournament which was won by the Hammermen Incorporation, pictured right with the Gorrod Trophy. 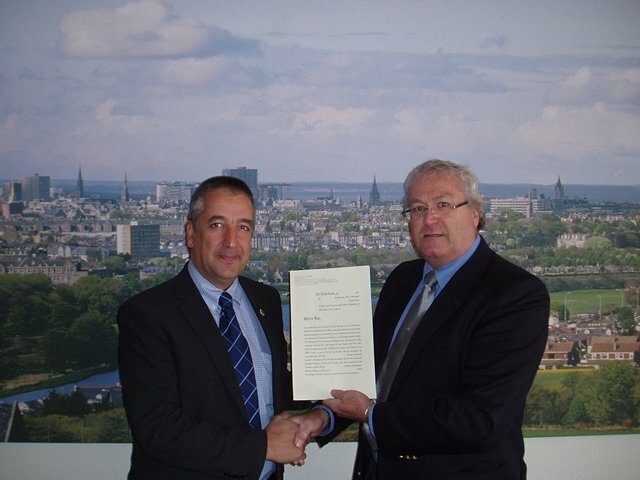 Ex Deacon Convener Graeme Nicol accepted an invitation to visit an event at St Andrews town hall on Saturday 7th May entitled – Craftsmen of St Andrews Past and Present. The event was inspired by the early modern craft books, specifically the books of the Fleshers, Baxters and Hammermen – which are held within Special Collections at the University of St Andrews’ library. On the evening of the 24th March 2015 a number of the Hammermen and Tailors Incorporation met for a Tour of the Aberdeen City Archives. Welcomed by Mr Hall, of the Archives Department, the members were firstly given a short tour of the Towns House specifically the St Nicholas Room, the newly refurbished, Town and County Hall and the Bon Accord Room. Matthew, in his talk presented the history of the City and the significance of various parts of the building. We then were taken to the Charter Room and shown a number of the archives including details of the construction of Union Street, City Seals and original regalia, and records relation to apprenticeships and indentures. After the visit we had a meal in a nearby restaurant before making our way home. Overall a very interesting and informative evening. 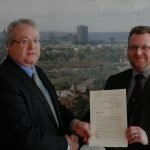 On Wednesday 5th March 2014, Edward Day of the Hammermen, was admitted as a Burgess of Trades at the Aberdeen City Council Meeting,completing his admission into his Trade Incorporation. This follows an earlier submission of his Essay piece to his respective Trade of the Hammermen Incorporation..
Edward now has the appropriate rights and privileges and are eligible to vote on business matters as a full members of his Trade. 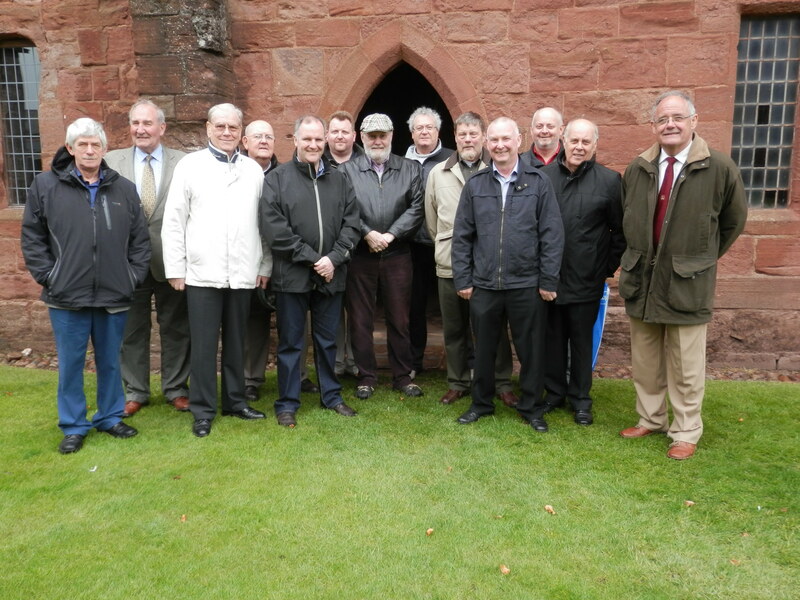 On Saturday 18th May 2013 thirteen members of the Hammermen Incorporation along with the Deacon Convener visited Arbroath as part of the Inner Marches day. After meeting at Trinity Hall for breakfast, the Deacon, Bruce Campbell, informed those present of the programme for the day. Prior to departure he asked the Deacon Convener to talk about the portrait of King William the Lyon on display in Trinity Hall.